Foucault was not asking the "right questions." And the answers he came up with helped disorient the Left. The question of the welfare state’s role in a capitalist society is a complex one. Of course, depending on the context, it can serve to contain social contestation, to limit movements of radical transformation, even to reproduce certain quite conservative social structures (especially regarding race or gender roles). The welfare state is obviously the result of a compromise between social classes. It is not, therefore, a question of “stopping there,” but, on the contrary, of understanding that the welfare state can be the point of departure for something new. My problem with Michel Foucault, then, is not that he seeks to “move beyond” the welfare state, but that he actively contributed to its destruction, and that he did so in a way that was entirely in step with the neoliberal critiques of the moment. His objective was not to move towards “socialism,” but to be rid of it. But before discussing the issue of the welfare state in the late 1970s and the role it might play in an emancipatory politics today, let’s return to some of these “good questions” that Foucault was asking. Yet this phrase is not an isolated statement. Thus, in a 1983 interview, Foucault says he is in complete agreement with a journalist who states that there is a need today to “assert each person’s responsibility for their own choices” and to move towards greater “accountability” (responsabilisation). In addition to the “dependency” it supposedly creates, Foucault believes that social security ultimately serves mainly the affluent. Thus, in a 1976 interview, he invokes, again without much distancing, the classic neoliberal argument according to which the welfare state actually amounts to a subsidy for the rich paid for by the poor, since it is often the rich who make the most use of the services provided. 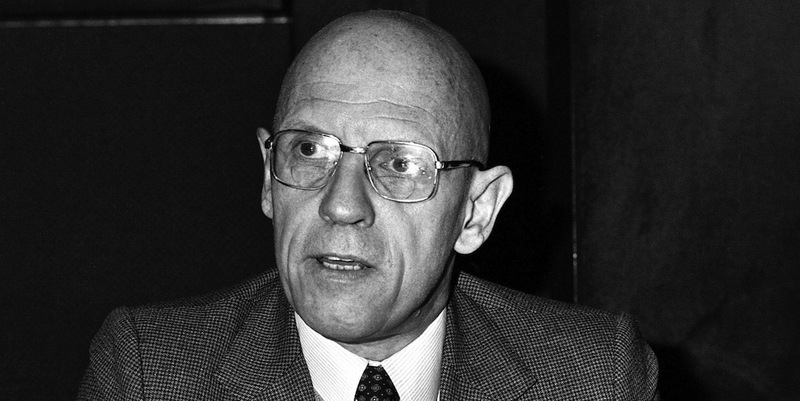 The final major “problem” emphasized by Foucault in regard to health care resides in the “arbitrary” nature of the concept of a “right” to health, and its harmful effects on the system’s ever-growing expenditures. Indeed, he says that since needs in the field of health care are neither quantifiable nor limitable, it is “not possible to fix objectively a theoretical and practical threshold, valid for all, on the basis of which it could be said that health needs have been entirely and definitively satisfied.” Since our desires regarding health are all different, how ultimately could there be a universal “right” with respect to it? This move is very close to free-market liberal arguments against universal health care systems, which had been built precisely on the basis of the notion of a universal “right” to health that could be determined objectively for the entire population. Such a conception would be repudiated little by little in favor of the idea defended by Hayek that health care is a consumption good like any other, and that it is the responsibility of each individual to “choose” to obtain care or not. Foucault, then, doesn’t advocate neoliberalism, but he adopts all of its critiques of the welfare state. He attacks the supposed “dependency” it produces, the very notion of “rights,” and its negative effect on the poor. His objective is thus not to move towards a totally neoliberal society, but to incorporate within the socialist corpus some of the decisive elements of the neoliberal critique of the state. It’s precisely in this sense that Colin Gordon sees him as a sort of precursor to Blairism. This thesis is also illustrated by Foucault’s closeness to Pierre Rosanvallon, the French progenitor of the “social-libéralisme” now dominant within the French Socialist Party. To my mind, Foucault was thus not asking the “right questions.” On the contrary, he popularized a good part of the neoliberal common sense that constituted the theoretical basis of the war waged against the welfare state. This common sense, far from being a secondary issue, represents in my view one of the principal obstacles to the institution of far-reaching social policies. The example of the quotation from Beatriz Preciado is particularly clear. In this succinct statement, she posits that the retreat of the welfare state is ultimately not a serious political problem. We should probably even celebrate it, since it will now liberate individuals from social control. The least one can say is that only an academic, someone relatively protected from social precarity, could say such a thing. The truth is that in Continental Europe — but also in the United States — the retreat of universal programs has led to considerable social regressions whose impact is not only material but also ideological. It is not only the welfare state that we have lost — it’s our capacity to think differently, to think outside the categories of neoliberalism. What Is The “Right” Question? In his response to my interview, one of Peter Frase’s main critiques of my argument is that it offers no radical political horizon outside of capitalism. My analysis is ultimately limited to an internal critique of neoliberalism, and I am, perhaps, hoping — secretly — for a return to postwar Fordism. In reality, my argument is very different. As I say very clearly at the end of the interview, a “return” to the past is neither possible nor desirable. At most, it’s a fantasy that has no chance of being realized in genuinely emancipatory ways. On the contrary, this feeling of nostalgia is today at the heart of the political success of far-right parties, but also, increasingly, of the mainstream right. This return to the past is seductive to a non-negligible fraction of the working class. In advocating for a radical reversal of cultural liberalization, and of the cultural effects of neoliberal globalization, these parties have managed to win both the ideological and economic battle. They propose no real alternative to capitalism, while winning the political struggle on the terrain of family values, work, and responsibility. We must therefore grasp the ambivalent nature of this sigh. It is not solely about nostalgia for a world without immigrants, a world of borders, and women in the kitchen. It is also about the institutions of social security and the social conquests of the postwar era. This aspiration, like religion in Marx’s eyes, must then be read on both of its faces. It is not solely the desire for a return to a more conservative society, it is also a testimony to what might have been emancipatory in that society; a testimony to the progressive values that it represented for the working class. My point is obviously not to limit us to this legacy, but on the contrary to defend it, to use it not only to win back the working classes but also to allow the development of genuinely radical political ideas. The question we should be asking ourselves today is not whether the welfare state as it existed in the postwar era was a “dead end” for the Left. On the contrary, we should ask ourselves how we can use its progressive dimensions for the purposes of social transformation. It is much easier to imagine what a different form of social organization could look like on the basis of the more progressive elements within the welfare state than it is to start from abstract ideas that are quite often disconnected from the reality of workers. It’s always easy to imagine different worlds and communist societies in a theoretical and abstract way. But these ideas are mainly formulated in the seminar rooms of universities and in the meetings of marginal political groups. By cutting itself off from the institutions that have actually (and not theoretically) transformed the world, the radical left also cuts itself off from the real world and the day-to-day issues of the majority of the population. The institutions that the workers’ movement established following the Second World War were much more than instruments for “stabilizing” capitalism. It’s true that these institution were shot through with serious political contradictions, but they also represented, in embryo, the elements of a different society, where the market would not occupy the central place it does today. So we should continue the ideological and political work that began with the birth of the welfare state. We should radicalize its legacy, we should push it ever further, and imagine with it — and not against it — a genuinely egalitarian and democratic society. Foucault was not asking the “right questions.” And the answers he came up with helped disorient the Left.